The cubs, which were born in the early hours of Wednesday 26 April, are doing well and have been observed suckling milk. At birth the cubs weighed approximately 600 grams, are 15 centimetres in length and are blind, toothless with short, soft fur. This is a very exciting time for Sea World and our Polar Bear and veterinary team are monitoring Liya and the cubs very closely. These early stages remain an extremely critical period and we are cautiously optimistic the cubs will continue to thrive. The cubs will spend the first stage of their lives in the maternity den with Liya. We hope to determine their gender when the twins first leave the den in approximately July. The Polar Bears at Sea World are ambassadors for their species and play a vital role in raising awareness of the effects of global warming. 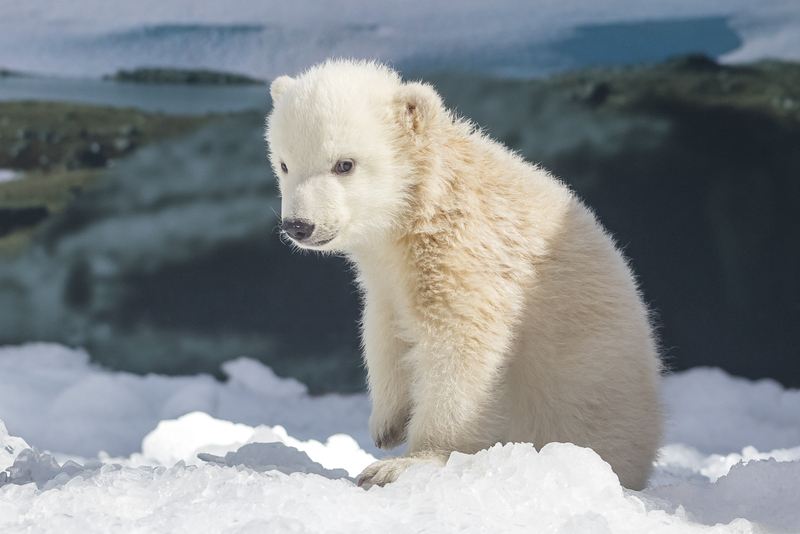 Current research indicates that Polar Bear numbers in the wild are declining, with 22,000 – 31,000 bears remaining worldwide. Sign up to our email subscription and follow us on Facebookto receive regular updates on the cubs’ progress. Village Theme Park Members and new VIP Magic Pass holders* who use their pass for the first time before 30 June 2017 will soon receive a very special opportunity to be amongst the first to see our beautiful baby Polar Bears. You’ll get to hear all about the gorgeous cubs from one of our very proud team members, and gain an insight into the incredible world of Polar Bears all before Sea World is open to the public. This money can’t buy experience will commence from approximately September 2017 and qualified pass holders will receive an email on how to book their free and exclusive experience. For your chance to see the Polar Bears, buy theme park tickets online to visit Sea World today! *Valid for VIP Magic Passes expiring 30 June 2018 and purchased from themeparks.com.au, by calling 133 386 or via theme park front gates only. The Pass must be activated on the first visit before 30 June 2017. Shaping up to be a very good school holiday season in September for VR, with Movie World's new coaster and Sea World with the bear cubs. Very exciting news and congratulations to the hard working Animal Care People!! Sad to see so many uneducated twits out there willing to condemn SW for their conservation efforts. It baffles me that supposed die-hard Environmentalists would sooner see these amazing Animals fade into extinction in their depleting natural habitat than support the efforts of those trying to save them. 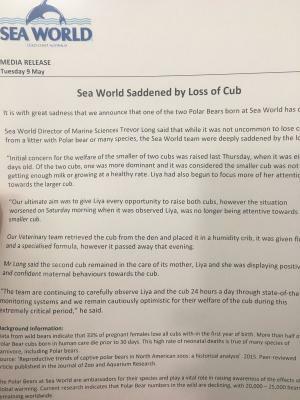 Awesome news for Sea World, as others have said above congratulations to the hard working team who look after these beautiful new cubs and their mum. It's going to be exciting watching them grow up. Very sad news.. Sounds a bit like the story of Henry all over again however Polars giving birth to twins and only successfully raising one is evidently common. A stressful time for the SW Animal peeps indeed. 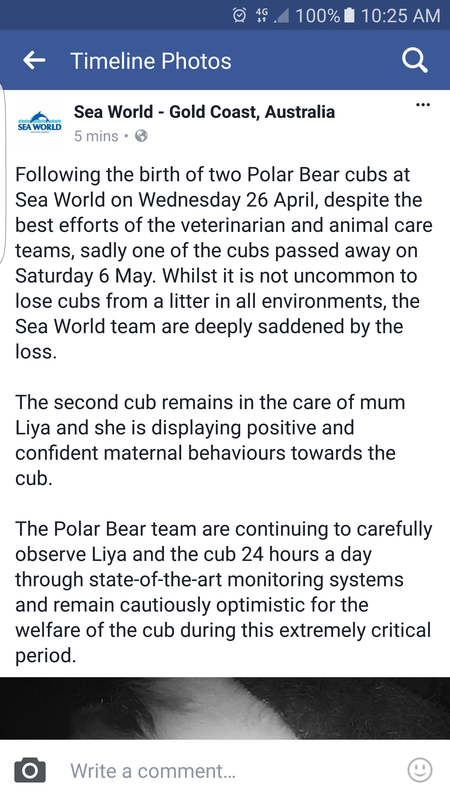 Let's hope Liya's other baby Cub makes it through OK.
That terrible. Very saddened by this event. "The Sea World team have been closely watching Liya and her cub on state-of-the-art monitors since birth and now guests at the park can share this experience with the launch of ‘Cub TV’. Cub TV provides guests with an exclusive look into the maternity den as well as a series of feature stories on the cub’s development on a large screen at the Sea World Plaza and on a number of screens at Polar Bear Shores. We will be changing the content regularly so make sure you come to Sea World to see this exclusive vision In Park today." Cub Kindy is a specially designed area at the world-class Polar Bear Shores exhibit which allows for the cub to develop her life-skills and explore new substrates such as shaved ice all under the watchful eye of doting mum, Liya. The cub is taking all of the exciting new experiences in Cub Kindy in her little stride, including playing with mum on the ice, interacting with new toys and getting her first taste of solid foods. 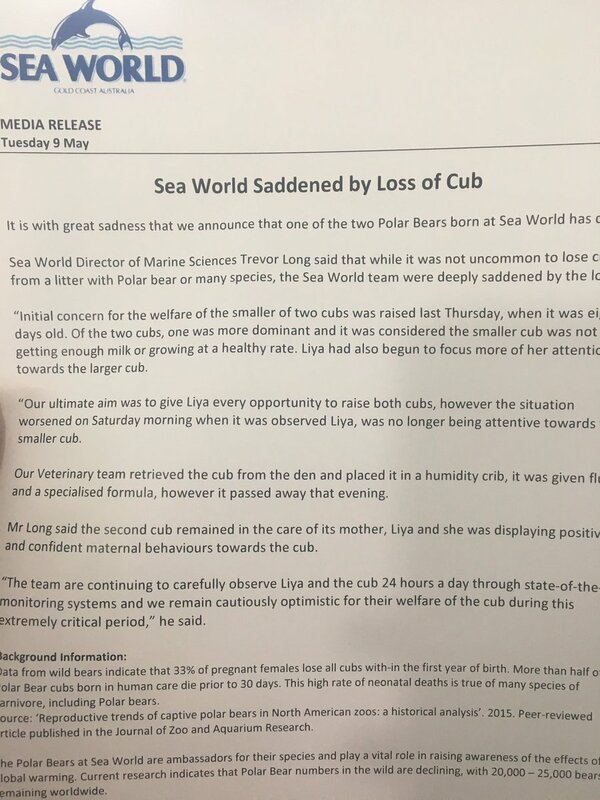 Sea World Director of Marine Sciences Trevor Long said the cub is doing really well and is becoming more inquisitive and playful each day, with Cub Kindy being a key part in her growth. “The first time to cub saw Cub Kindy, she was a little nervous, but after watching and learning from mum her confidence grew and she began to dig, run and play in the ice and is now starting to spend more time out there,” he said. “The cub has also been introduced to her first toys in Cub Kindy and she’s taken a real shine to a small ball which she enjoys playing with and chasing around the ice, keeping Liya on her toes. “She is continuing to grow significantly in size and is now starting to interact with solid foods including fish, meat and pork and it won’t be long until she makes her public debut. “We are still asking for the public to help us name this adorable cub through the naming competition on the Sea World website, which has had over 20 thousand votes since opening, with Mishka proving to be the front-runner at this stage. 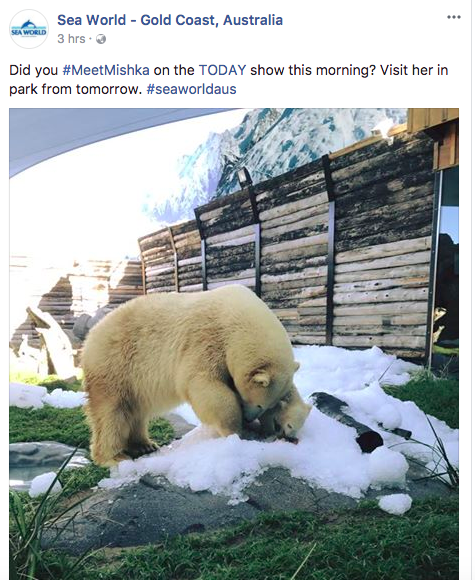 Sea World is excited to announce that the female Polar Bear cub has been named Mishka! The results from the Cub Name Voting Competition revealed Mishka, Russian Inuit for Little Bear, as the most popular name for Sea World's newest addition. Mishka was chosen from a list of four names which paid homage to her mum, Liya's Russian and dad, Hudson's Inuit heritage. I love how the public thinks... Mishka/Little Bear is going to really suit a 2m / 300kg bear in a few years time. It's like having a pet bird and naming it Egg. It's 2017... they should have just gone with Beary McBearface and made everyone happy. For those eligible/interested the "First Access" tours can also now be booked. Edited September 8, 2017 by Jordan M.
I wonder if the deal for first rides on Rivals will still happen. 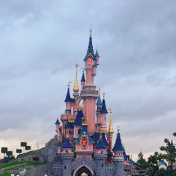 For rivals, the way I've heard it will work is, guests with VIP passes will be allowed to enter the park at 9;30 and ride it, while other guests will have to wait until 10. Early access for pass holders is now available and is only done through booking a session to see Mishka. 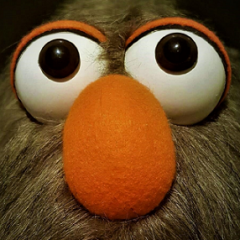 The session starts at 8:30 and is available until October 8.